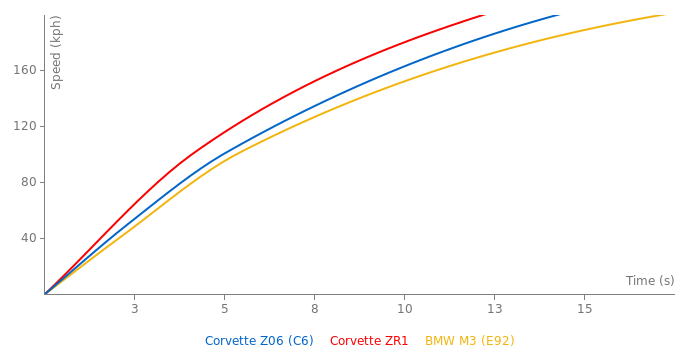 It is amazing how today's M3 coupe (er, M4) can keep up with an old Z06! Delete the picture about rhe race car! This car USED to weigh 3131 lb as a matter of fact, but in the later years it would be heavier assuming the magazines have ordered options, etc, that made the car heavier. The heaviest I found for a C6Z was 3320 lb. Some cars have independant times some dont, Simple as that. But the 10.98 time has not yet been published officially on this site! Stop posting old as hell news, Its everyday i swear. 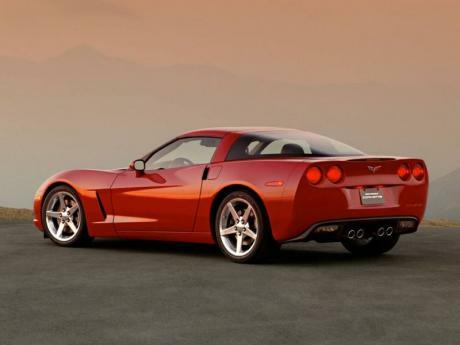 http://www.autoblog.com/2007/12/05/10-second-stock-c6-corvette-z06-on-run-flats/ Dec 5th 2007 at 7:04PM - "10-second stock C6 Corvette Z06 on run flats"
No, @saxy but the 0-110mph/0-180kph time sure wasn't listed! 130Bhp more, and 700Lbs lighter has its advantage weither you want to bring up tyres and tech or not. tires are a lot less durable now and a much stickier. That's the difference of a lot. Plus the F1 had no downforce and too much power to corner. Can This Car Beat The Porsche 997 Turbo in Straight Line ?. Its Very Impressive That The Corvette Z06 Beat The McLaren F1 on The Tsukuba. "I CAN'T BELIEVE THAT IT BEAT THE F1!!!!!!!!!!!!!!!!!" I CAN'T BELIEVE THAT IT BEAT THE F1!!!!!!!!!!!!!!!!! 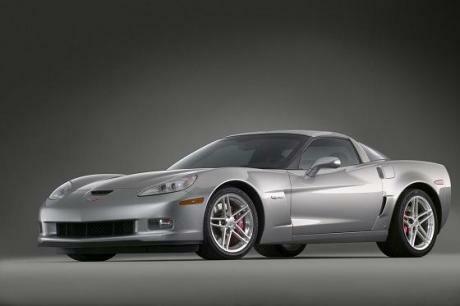 Can't really go wrong with either a GS or Z06, as long as your first mod is a tire swap. Seriously, the Goodyears on the C6Z and GS are crap for the track. Frankly, I'm amazed the Z06 did so well in skidpad tests and such in magazines. I'd say go with the Grand Sport. It's easier, less expensive and less risky to mod, and you can get a better deal on a low-mileage example. The only reason I bought a Z06 was because I knew the guy who was selling it and I got the "friend rate". 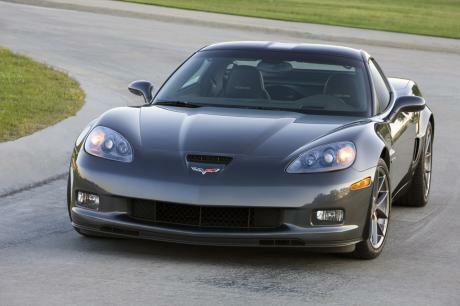 But stock for stock, it's almost impossible to beat a clean used C6Z. But whatever you do, don't pull the trigger until after the C7 is officially on the market. When that happens, it's pretty much guaranteed that C6 values are going to drop like rocks and dealers will practically be giving them away, though the 427 Vert will likely retain its value better than anything else. 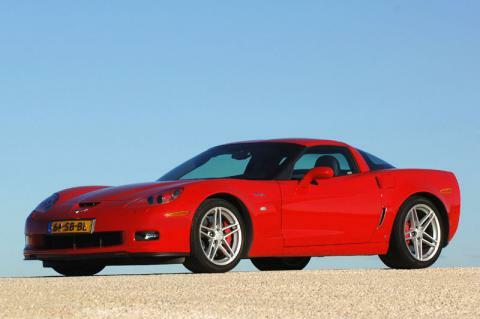 I mean, you can already get relatively low-mile(under 10k)ZR1's for less than $80k, so just imagine the deals you could get on a Grand Sport once Stingrays are on the street. The Corvette is a great high end performance car bargain, it has everything a sports car buyer wants, great road manners, decent fuel economy, reasonable price (for what it is), good reliability, raw power, nimble handling, excellent brakes, and blistering performance, what's not to like? It's one reason the model has been with us for 60 years. I am torn between the C6Z and the Z51 or Grand Sport C6 with the LS3. 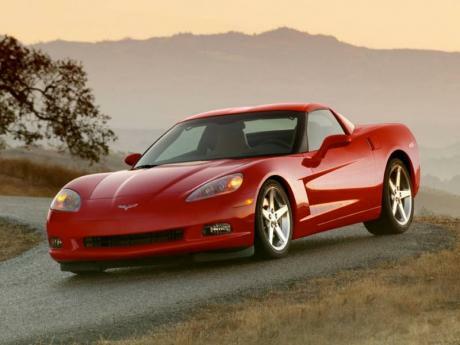 The Z06 is lighter, but I can get a newer and lower mileage LS3 C6 for the same or less money. Also, the LS3 is incredibly mod friendly. I have seen full bolt on LS3 cars outrun stock C6Z's. Right now I'm leaning towards an early Grand Sport with low miles. Those cars will never be approved. They are not accepted under the site's rules. Thankfully it only takes me seconds to delete all of the damage you attempt to do. I am deleting and banning him. He uses multiple Ip addresses. Thankfully it's just one click to ban him and delete all of his spam BS.